Work is really picking up, so don't be surprised if the text in the posts for the rest of the month are on the brief side. Then again, you probably came for the photos, not the reading, right? 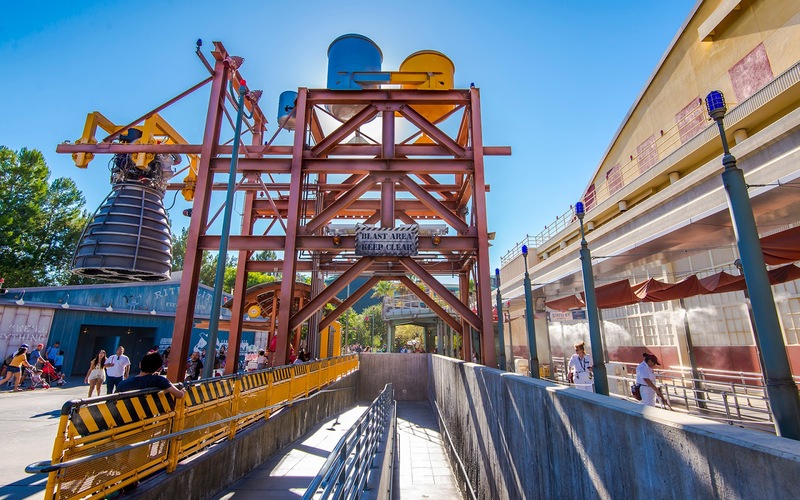 Anyway, with Condor Flats undergoing refurbishment to transform into the Grizzly Peak Airfield and officially incorporate into the Grizzly Peak themed land. When it reopens in May, it will look nothing like the shot below. Instead, there will a heavier wilderness vibe instead of a desert vibe. I definitely look forward to how it all turns out! An empty exit ramp and queue for Soarin' Over California.